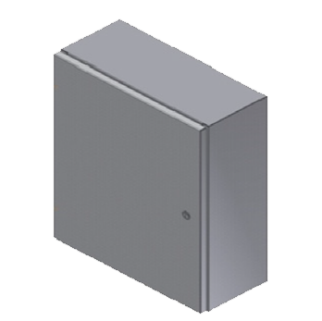 Steeline’s “SW-Series” Wall Mount Enclosure is intended for any and all uses, from outdoor to indoor, wet to dry, and non-corrosive or corrosive environments that are consistently being met with the elements or other types of liquids. 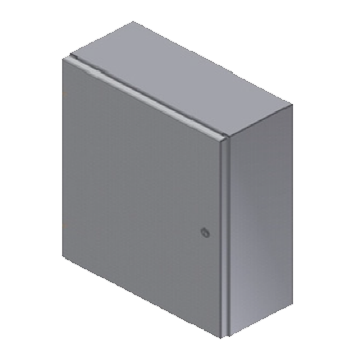 The “SW-Series” Wall Mount Enclosure has a 180 degree left-hand door hinge capability and quarter turn last inserts that are flush with slotted inserts. The SW-Series was made with carbon steel doors and housing (304/316L Stainless Steel), ANSI 61 Gray powder paint (smooth or textured), #4 brushed finished and an optional mounting panel. Optional modifications are available per customer specifications and request. Contact us today to learn more about our products and services!